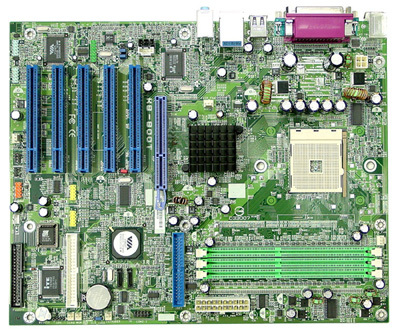 All in all, the FIC K8-800T is a very solid board and is also amongst the cheapest of the current Socket 754 motherboards. The benchmarking results were good, but after reading several reviews of other K8T800 and nforce3 chipset motherboards, they definitely aren't the fastest out there. This is obviously due in part to the BIOS and its limited overclocking capabilities. If the restrictions were rid of, then the FIC K8 would surely be a top competitor for 64-bit motherboards. Aside from the overclocking issue, the Phoenix-Award BIOS is an excellent BIOS with many great options. The K8 also has a lot of solid features like on-board audio and lan, and extra brackets for firewire and USB.